The Hastings YMCA Has a Brand New Look! 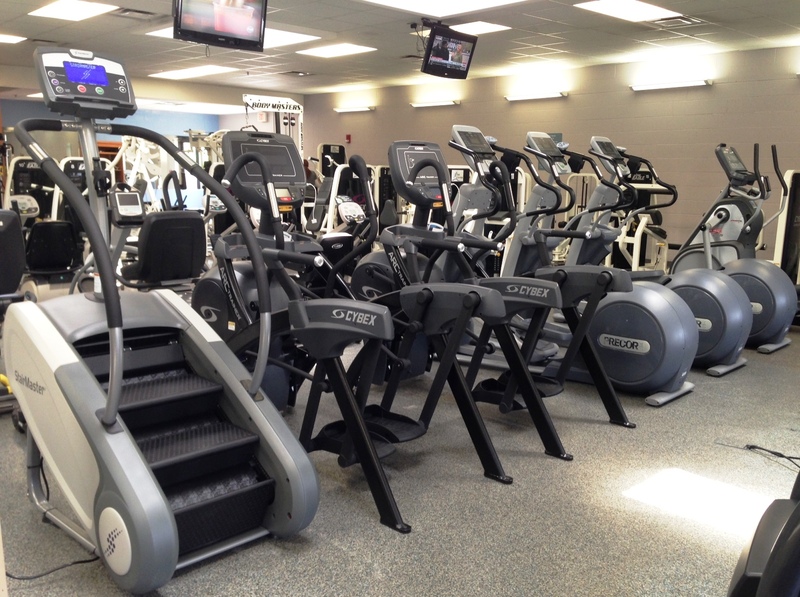 Check out the new fresh look at the Hastings YMCA with all new strength and cardio equipment! Posted in Community Wellness Centers, Installations, NewsLeave a Comment on The Hastings YMCA Has a Brand New Look! 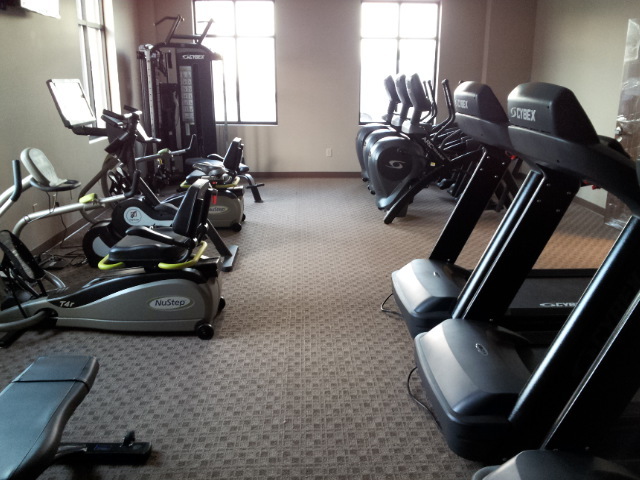 This room is LOADED with the #bestofthebest equipment out there!! 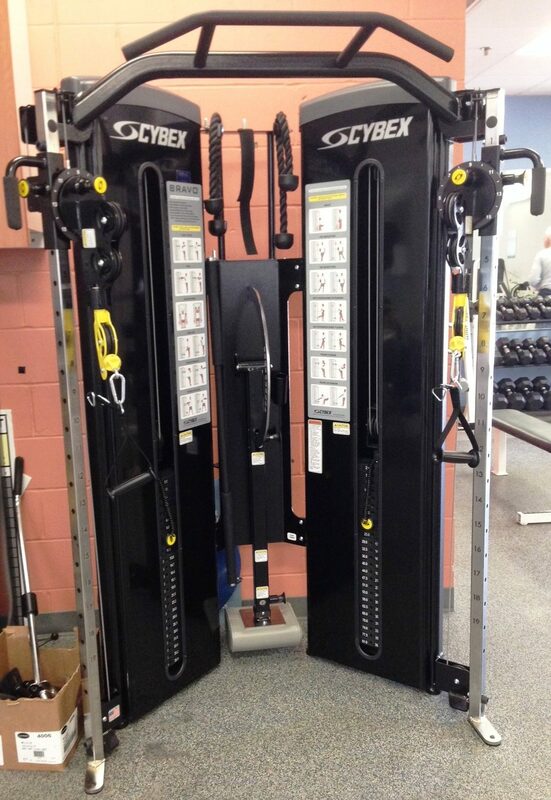 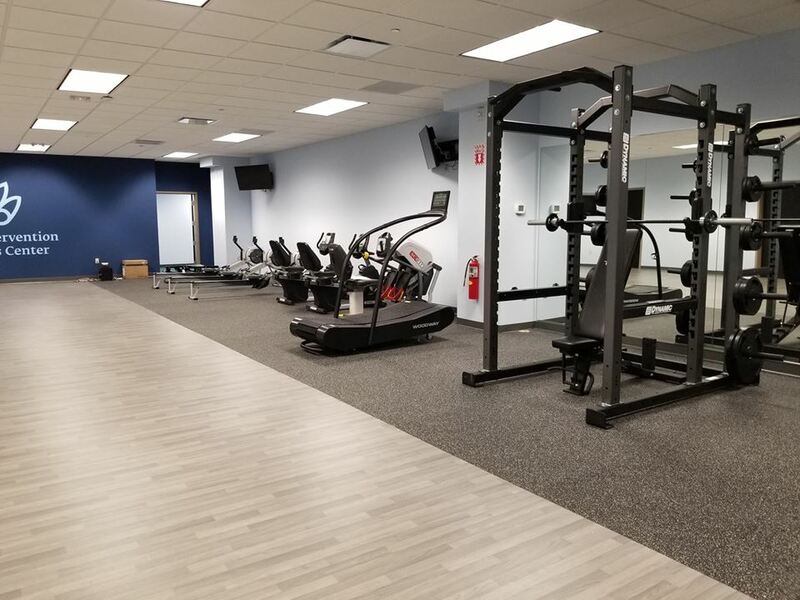 The NOVA Fitness Equipment team installed products by Cybex International, Inc., #troybarbell, Interactive Fitness, SCIFIT and Concept2, Inc. along with many other fitness accessories!! 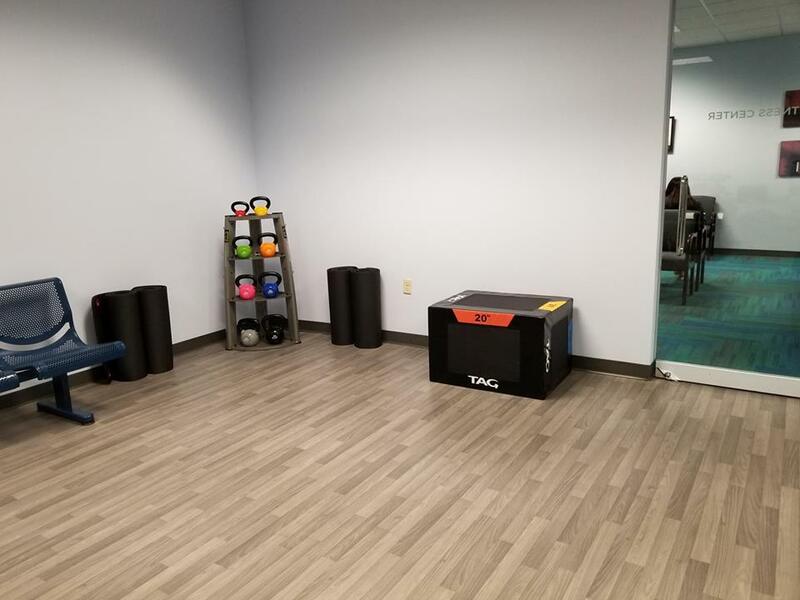 We have continuously been working with them on adding more and more items as the need arises and we couldn’t be happier with the way this facility turned out!! 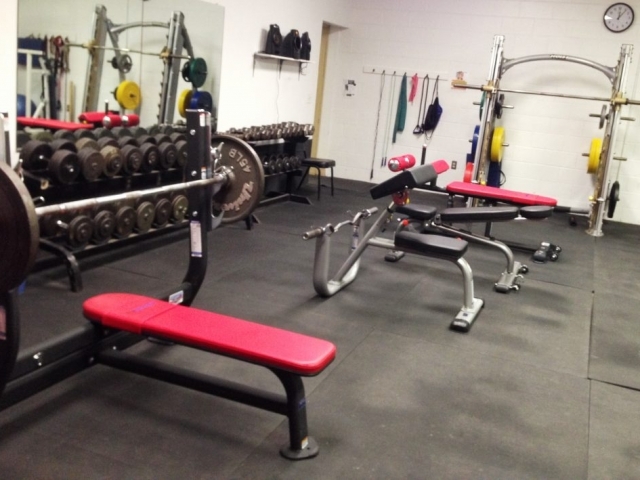 Providing the people in southern Nebraska a great facility to live a healthy lifestyle!!! 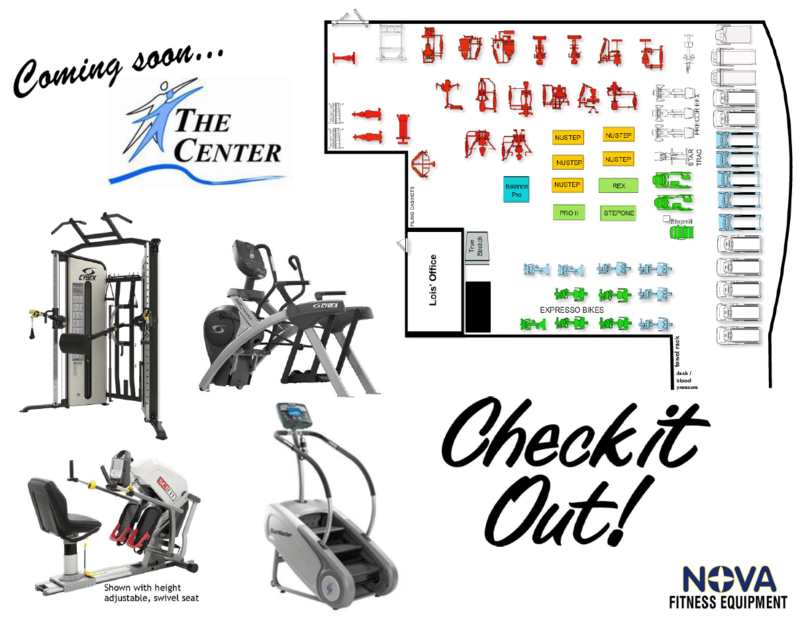 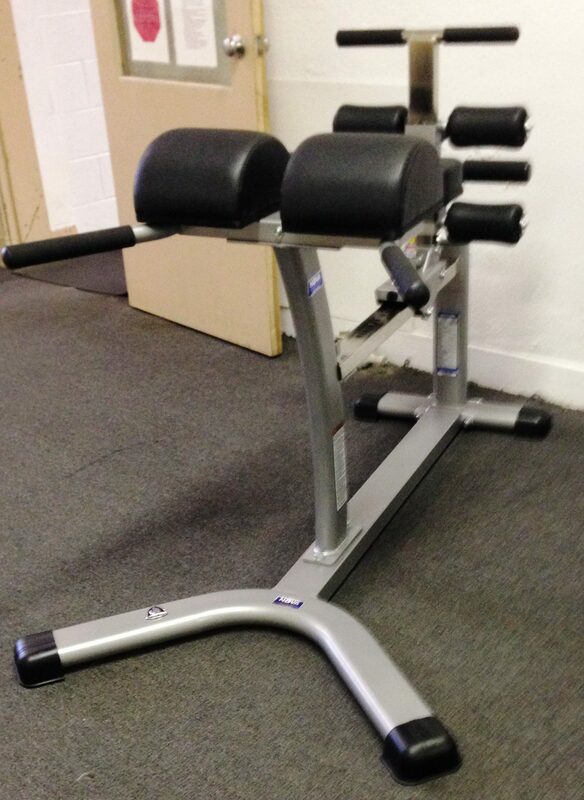 Thank you for teaming up with NOVA Fitness Equipment for all of your fitness needs!! 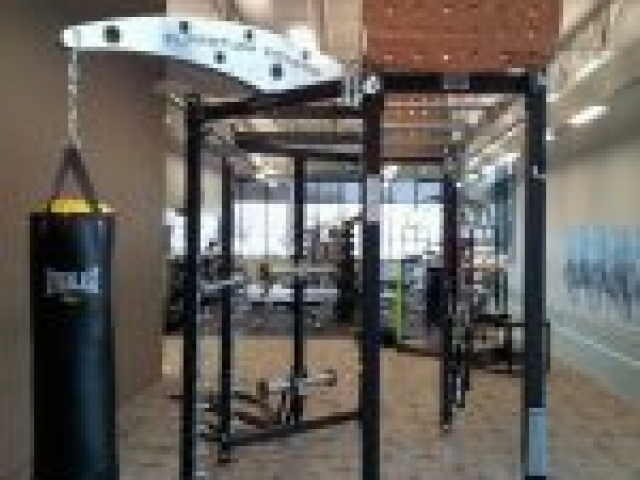 In the pictures below you can definitely recognize the new pieces in the room as the black Matrix Fitness #junglegym. 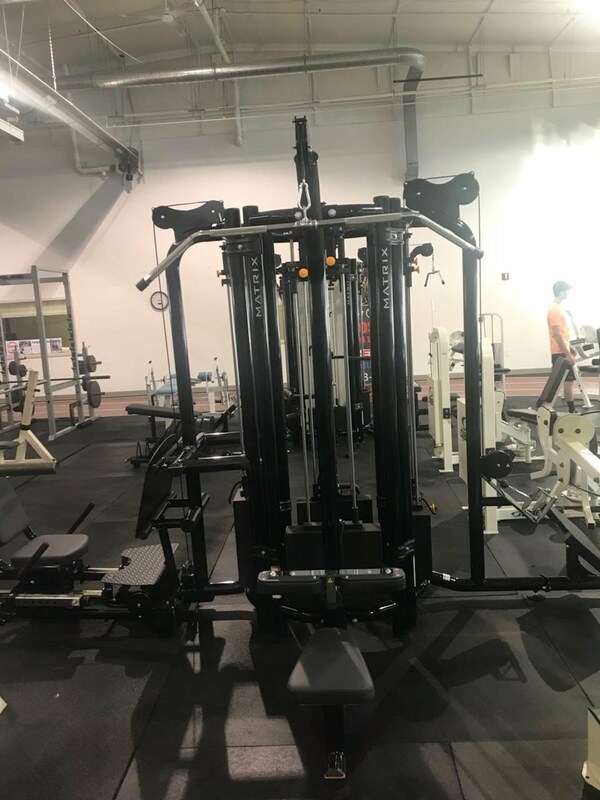 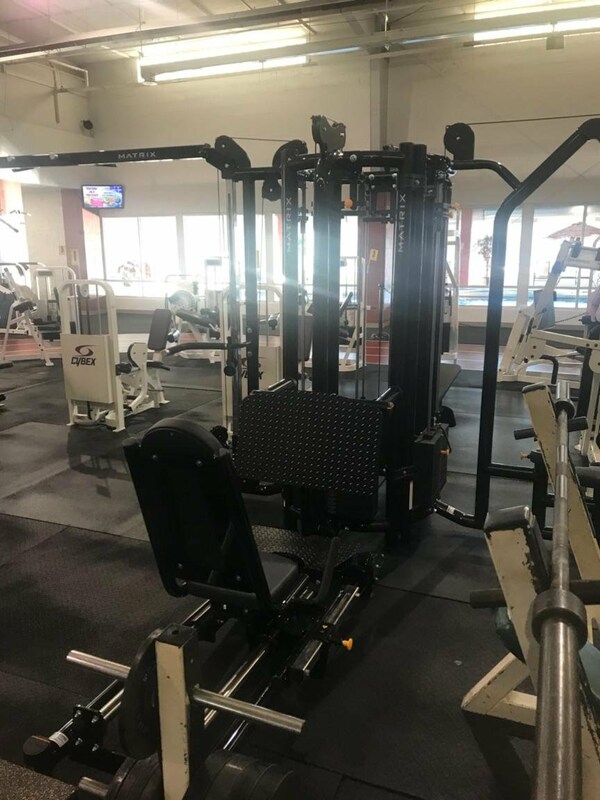 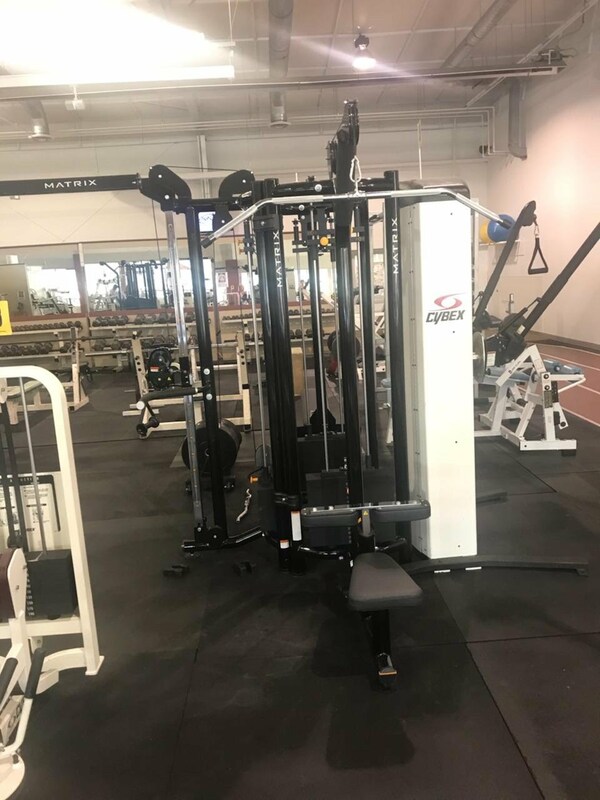 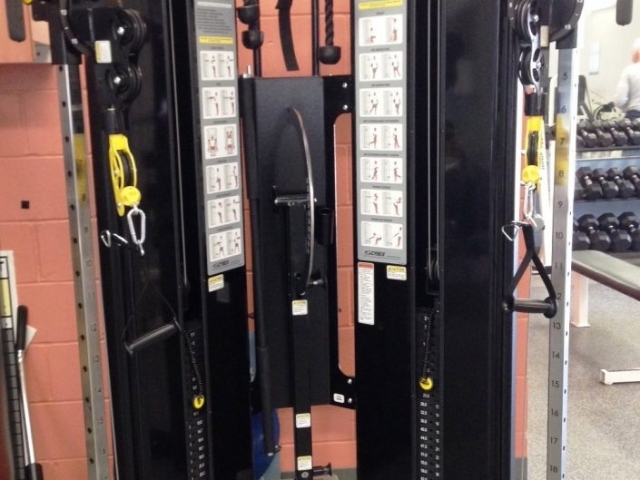 The new pieces consist of a #matrix adjustable cable crossover w/ a chin-up station, (2) low row stations, (2) lat pulldown stations and (1) leg press station. The members of this facility are going to LOVE using these stations!! 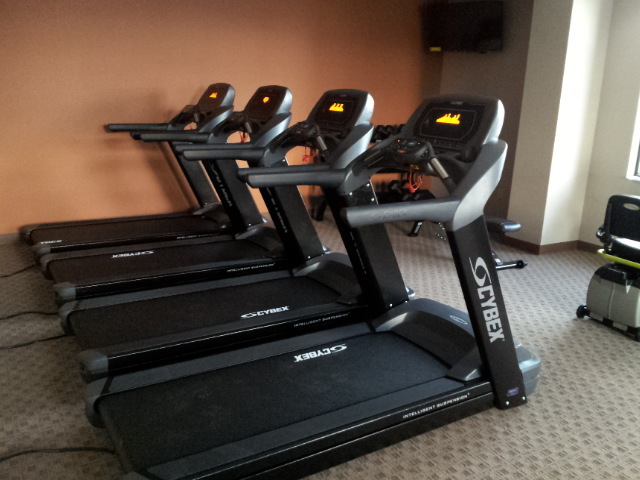 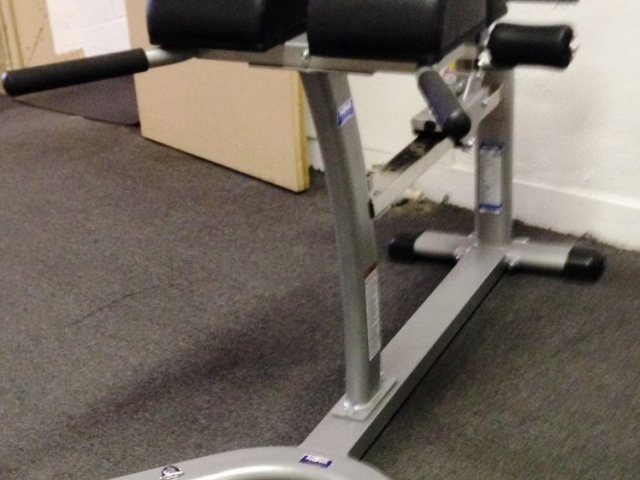 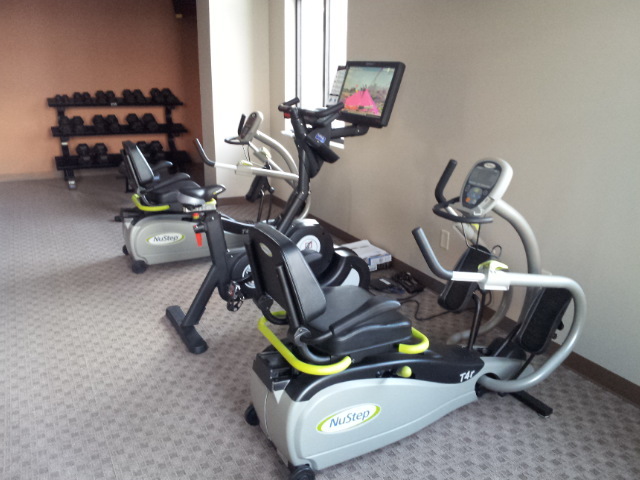 We… also installed a Matrix Fitness C5x climbmill to the room as another choice for #cardio!! A huge thank you the Mike Kearney and the Ambassador Wellness Center, LLC for partnering once again with NOVA Fitness Equipment!!! 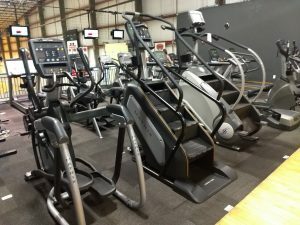 We look forward to more projects in the future!!! 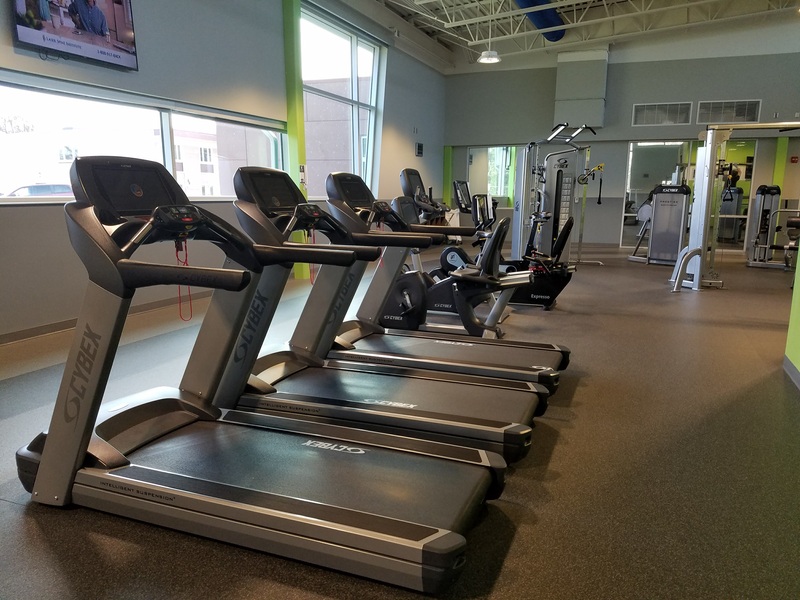 The NOVA Fitness Equipment team is very proud to present some of the pictures from a project that we partnered with the Omaha Kroc Center!! 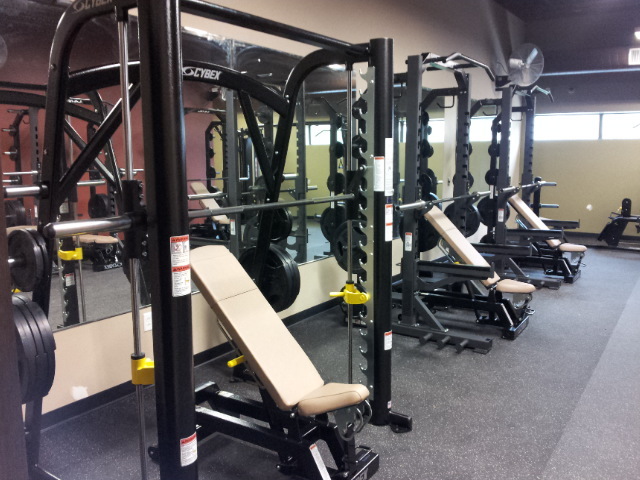 This project has been in the making for quite some time now and we are VERY pleased with the final look!! Here are just a few pictures of their new fitness area, the pictures don’t do it justice, however… if you’re downtown, stop in and check it out!!! 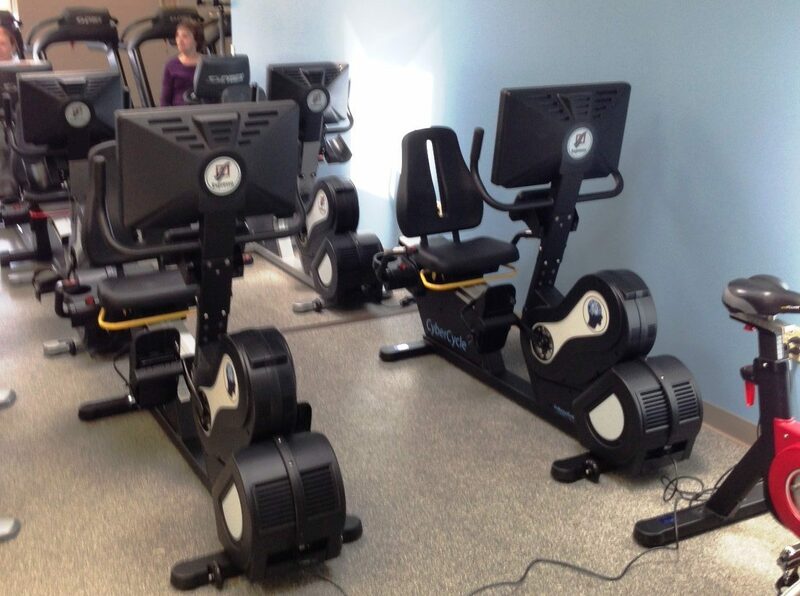 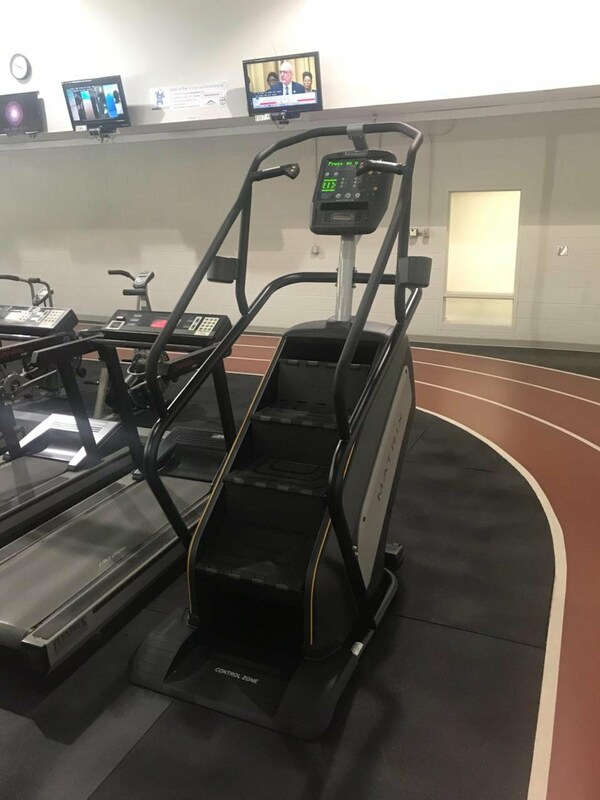 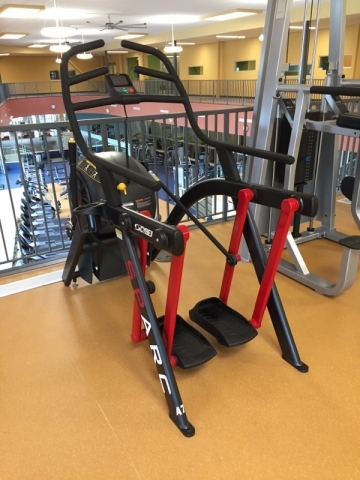 The Omaha Kroc Center was THE FIRST facility in Nebraska to have the all new Expresso GO bikes installed, they have 2 uprights and 1 recumbent – if you haven’t tried the new GO bikes, give us a call and we can arrange for you to try them!! ? 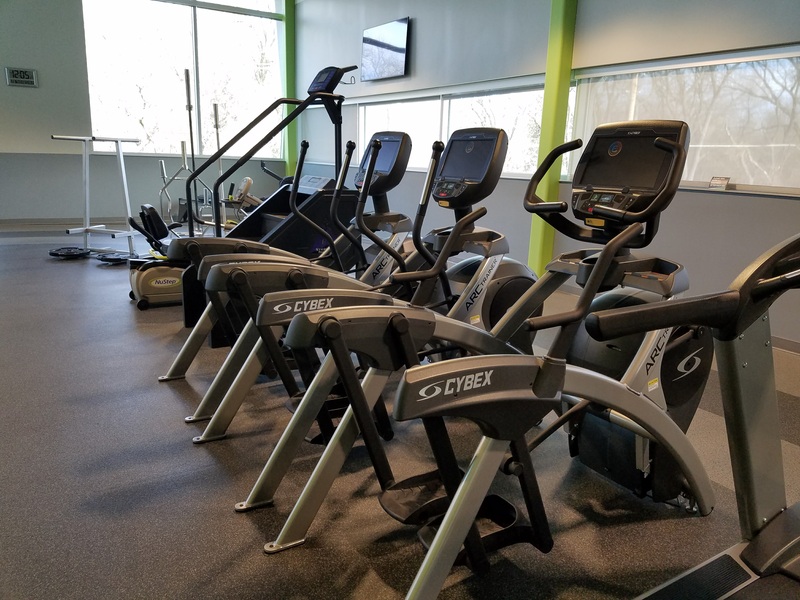 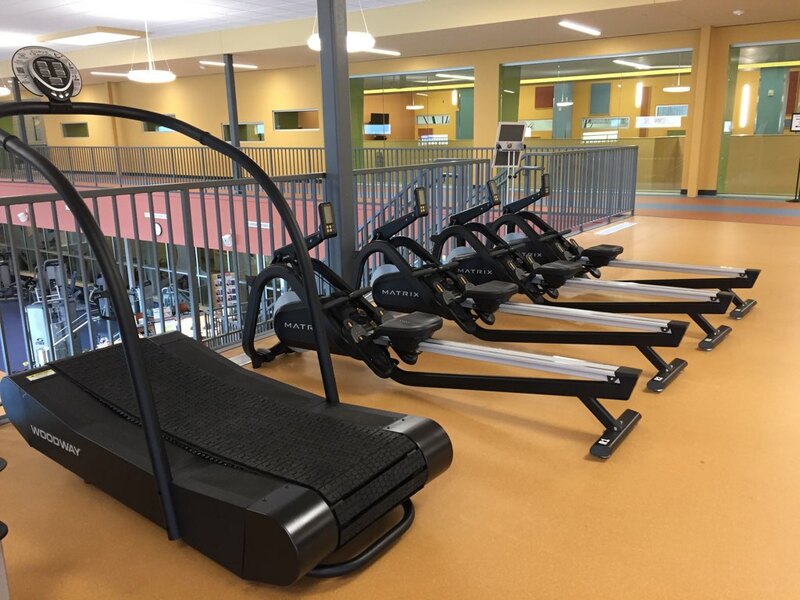 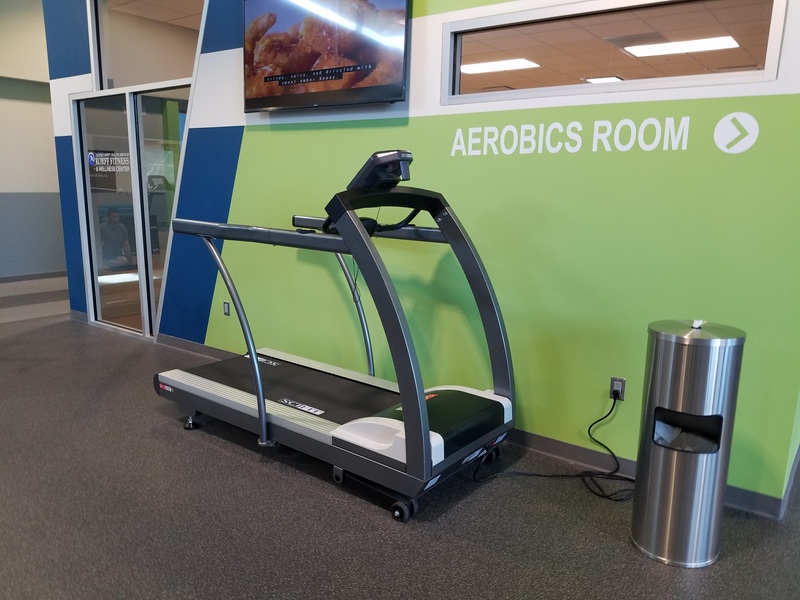 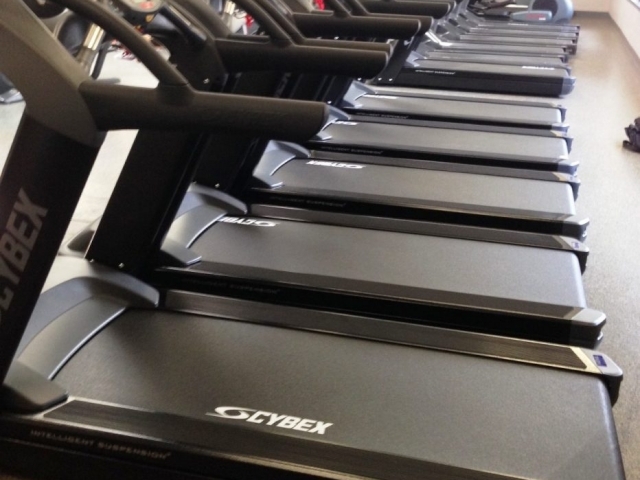 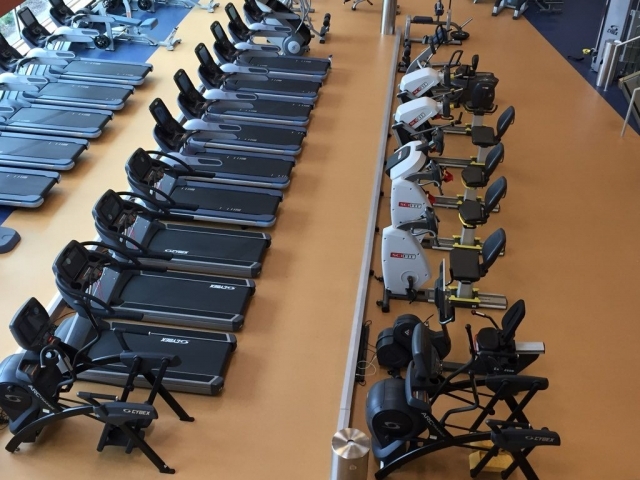 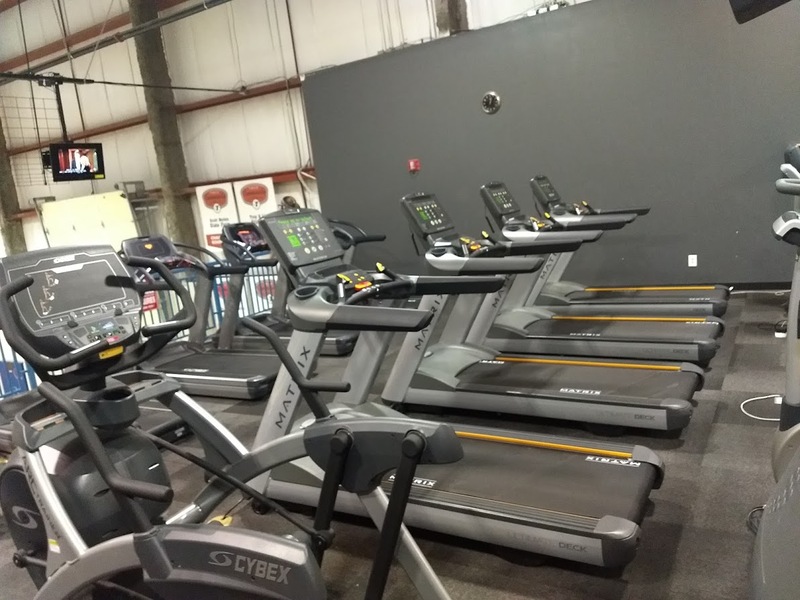 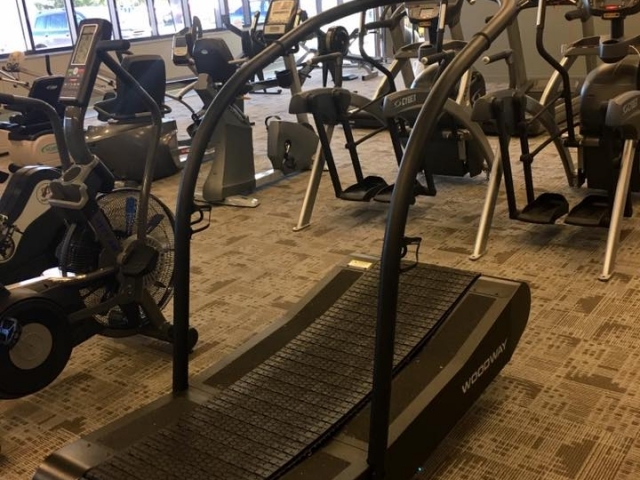 We installed 2 Cybex International arc trainers, the 770AT and the 625AT w/ total access, 3 770T Cybex International, Inc. treadmills, 1 #latitude trainer by SCIFIT along with, 2 bi-directional recumbent bikes, and 2 Total body recumbent steppers. 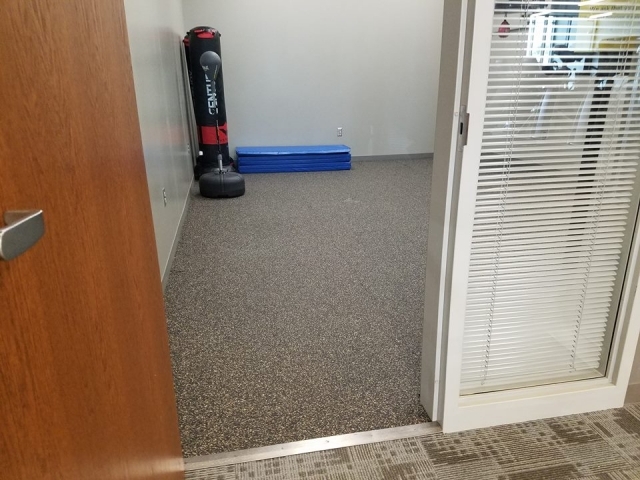 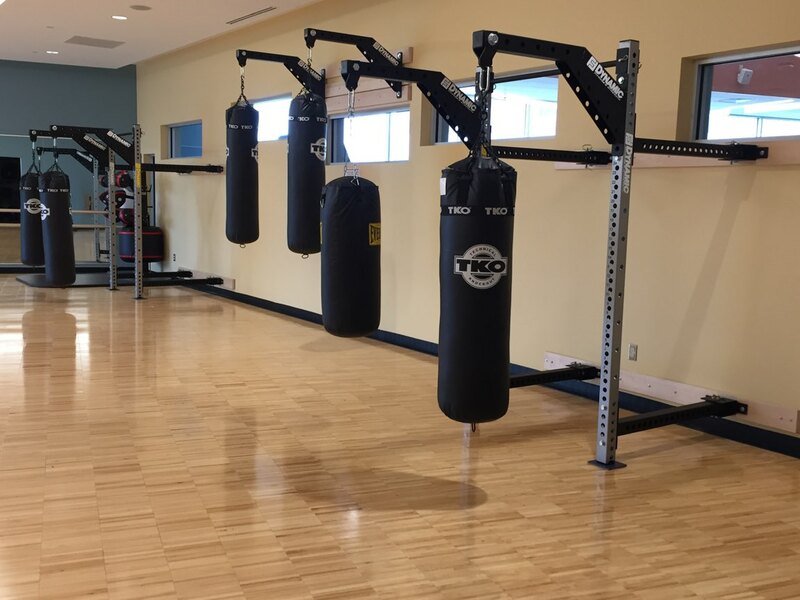 In another area of the facility you will find wall mounted folding 1/2 racks by Dynamic Fitness & Strength with heavy bags mounted to them by TKO Sports, they also have speed bags in the room as well. ? 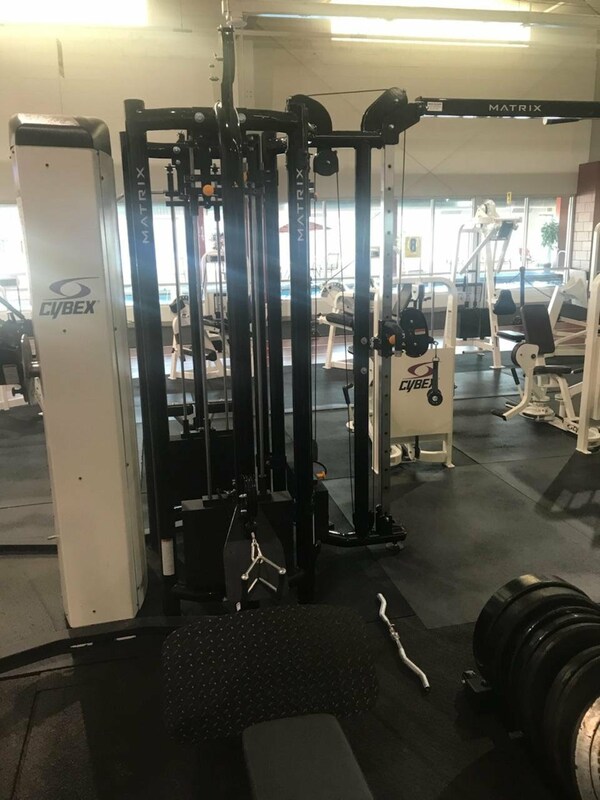 In the strength room, you find a power rack and half rack, again, by Dynamic Fitness & Strength and an entire jungle gym setup by Cybex International and a few pieces of selectorized equipment. 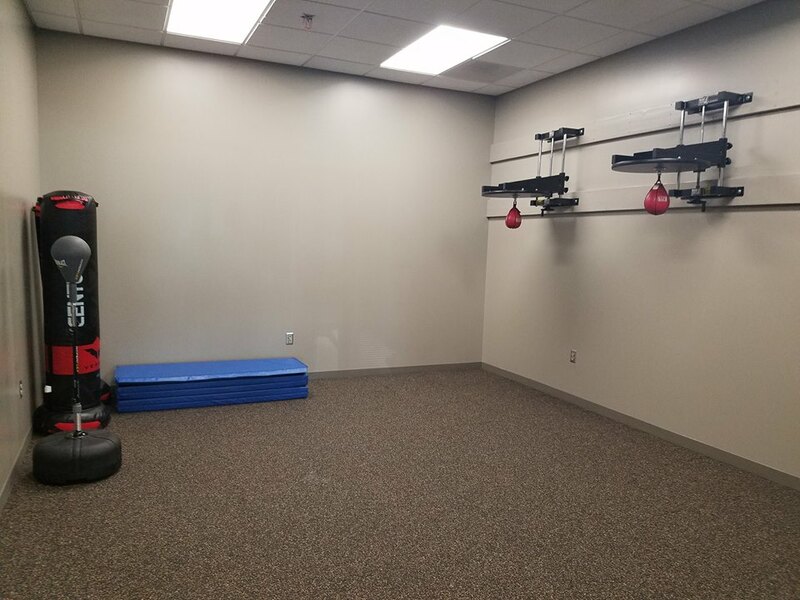 This room is also home to the Ab Coaster 3000 by The Abs Company!! ? Another area of the facility is home to 4 Matrix Fitness #rowers, a #sparc trainer by Cybex International, the Ab Solo and Tire Flip 180XL by The Abs Company and a #curve non-motorized treadmill by Woodway Treadmills!!! Multiple other accessories including 11 TRX Training suspension trainers are placed throughout the facility to make sure that everyone working out here has exactly what they are looking for!! 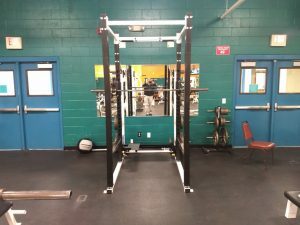 A lot of hard work, planning, and dedication were put into this project, and you can see just how well that paid off!! 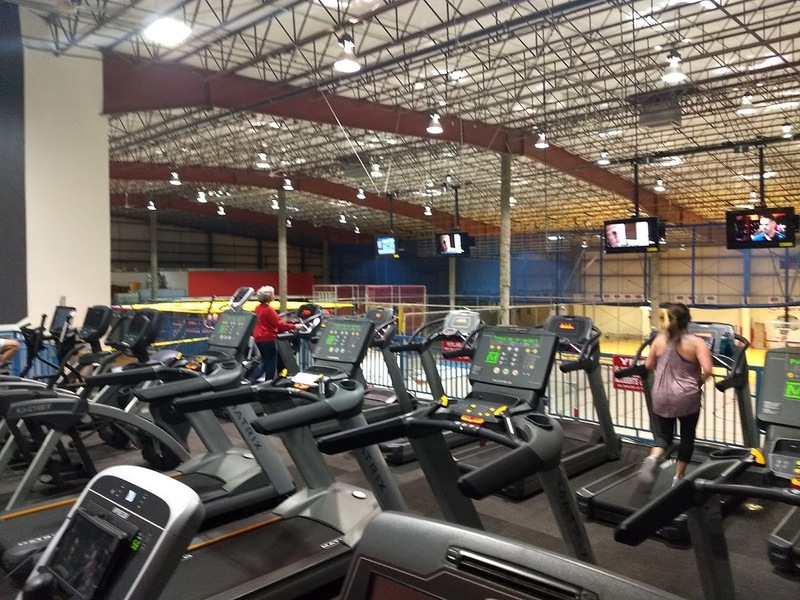 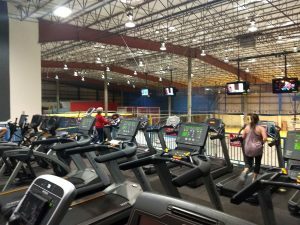 Congrats to the Omaha Kroc Center on your new facility and thank you for continuing to team up with NOVA Fitness Equipment – we look forward to serving your needs in the future!! Have you heard about Rock Steady Boxing yet??? 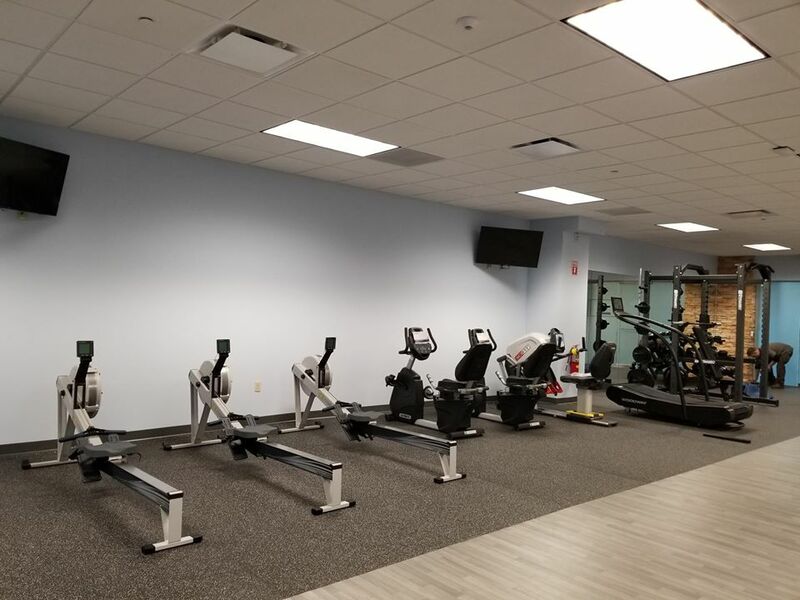 The crew at Providence Wellness Center sure have and they have started doing something amazing for their patients with #parkinsons. 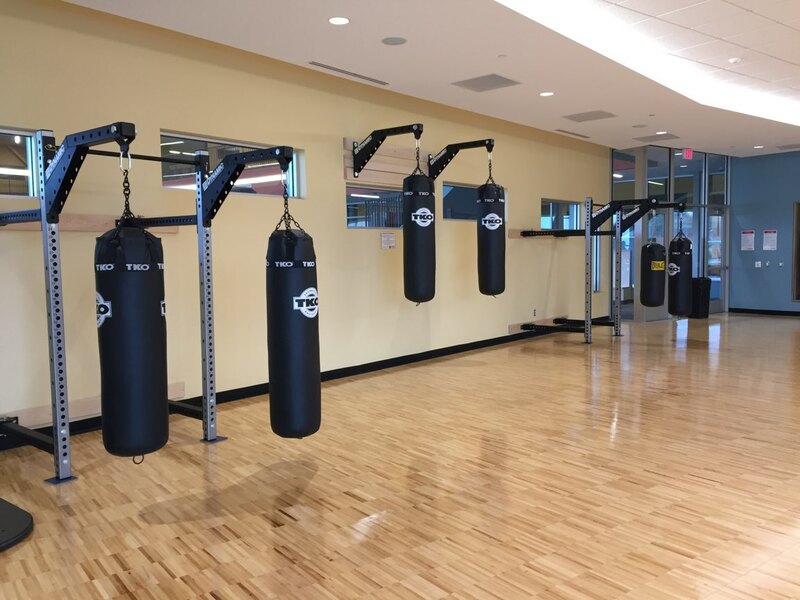 We were able to work with them on the flooring in their new #rocksteadyboxing area. 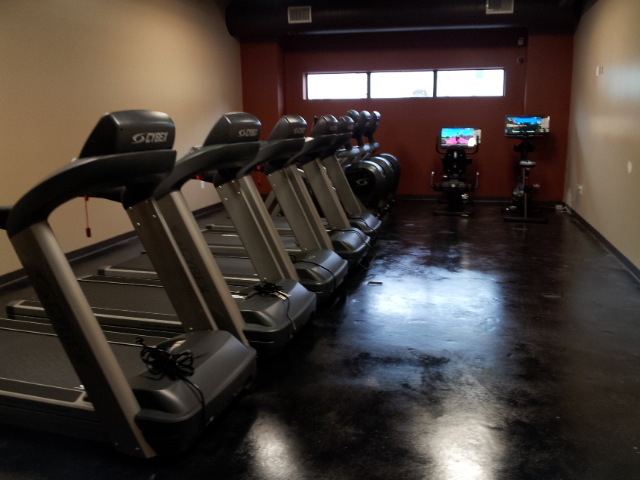 The new flooring that was installed in their room is Performance #RALLY flooring by Ecore. 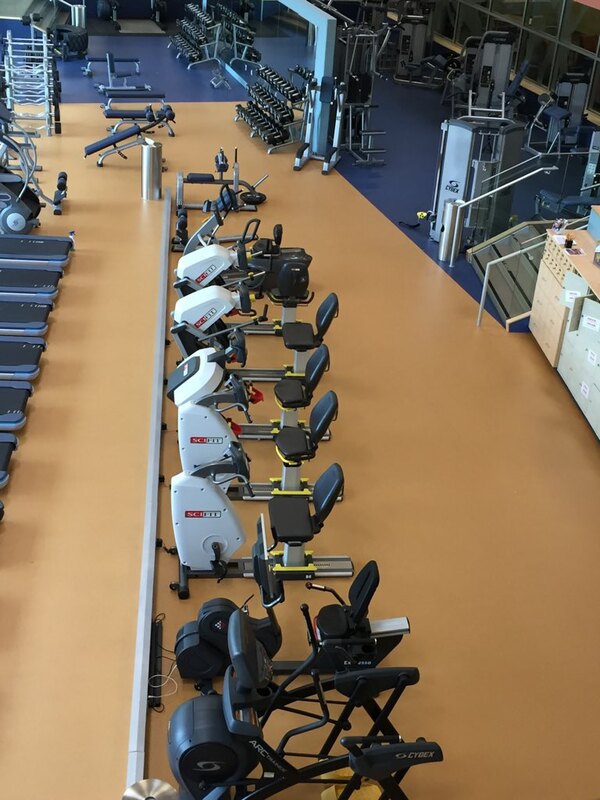 This flooring is made up of interlocking tiles and has a dual durometer system that is engineered to absorb the impact force related to aggressive functional training, providing an ergonomically advanced surface that works in concert with the body. 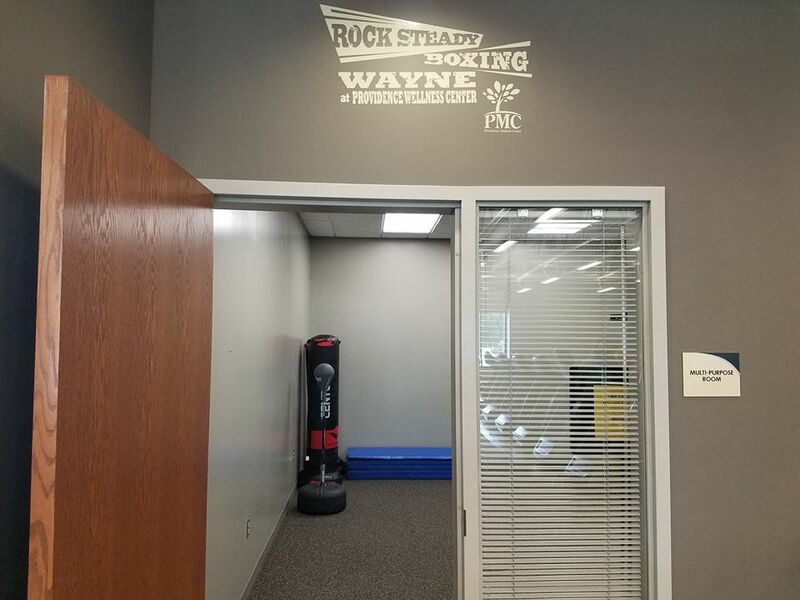 Check out Rock Steady Boxing to find out more about why everyone is loving this type of training!! ? ? 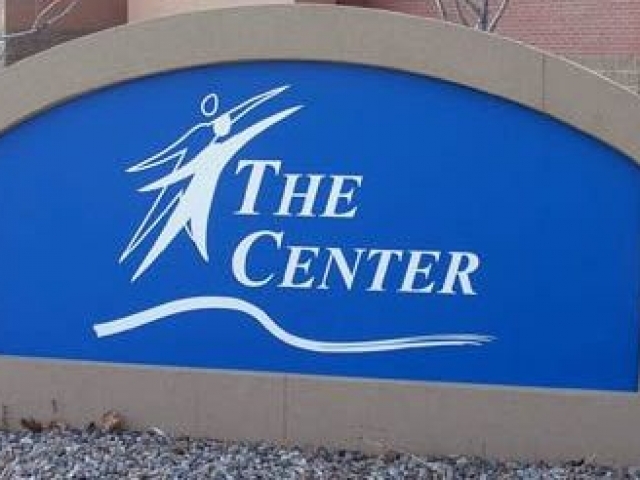 Also, check out this link to an article about the program that is being used at Providence Wellness Center in Wayne, NE. 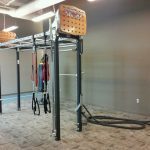 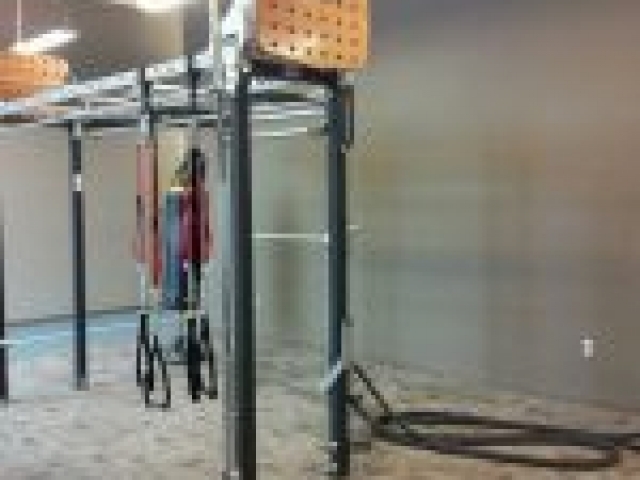 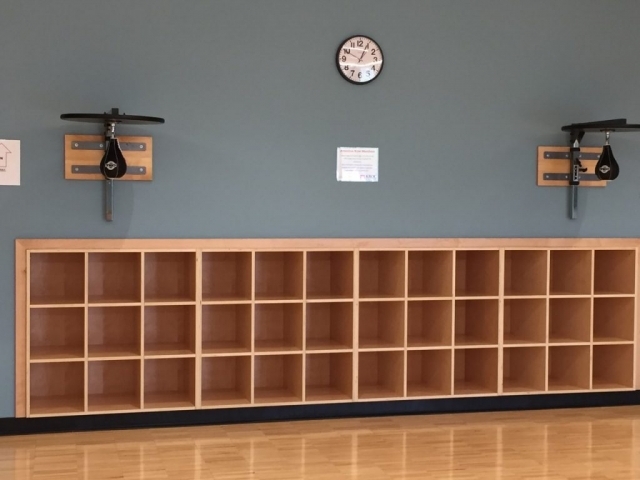 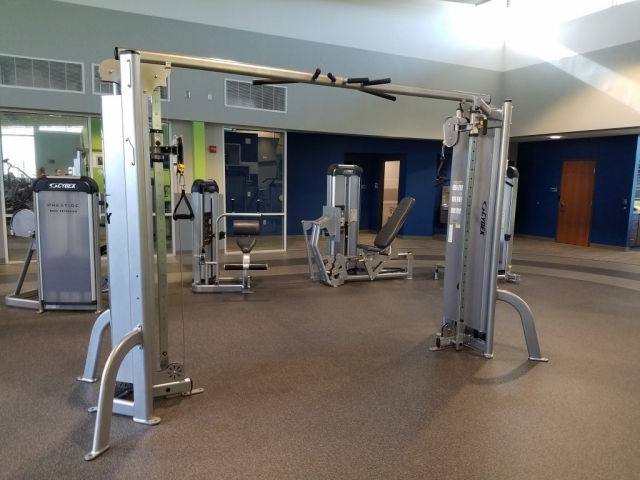 Also in their Wellness Center is the TuffStuff Fitness CT8 Fitness Training Station which offers offers modular options, design elements and customization for people of all ages and fitness levels. 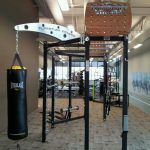 Along with all new medicine balls, heavy bag, and battle ropes. 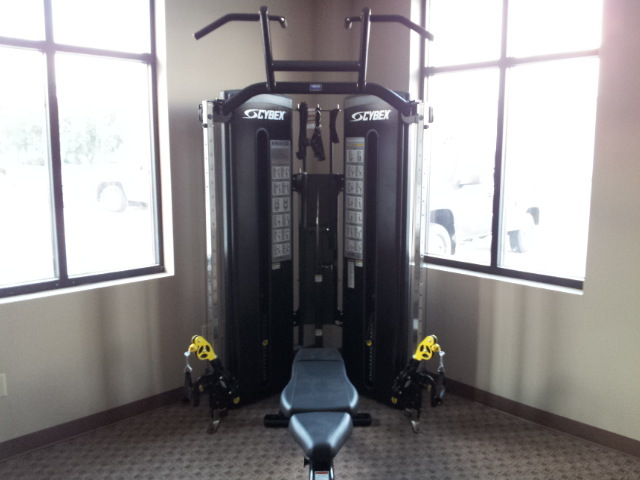 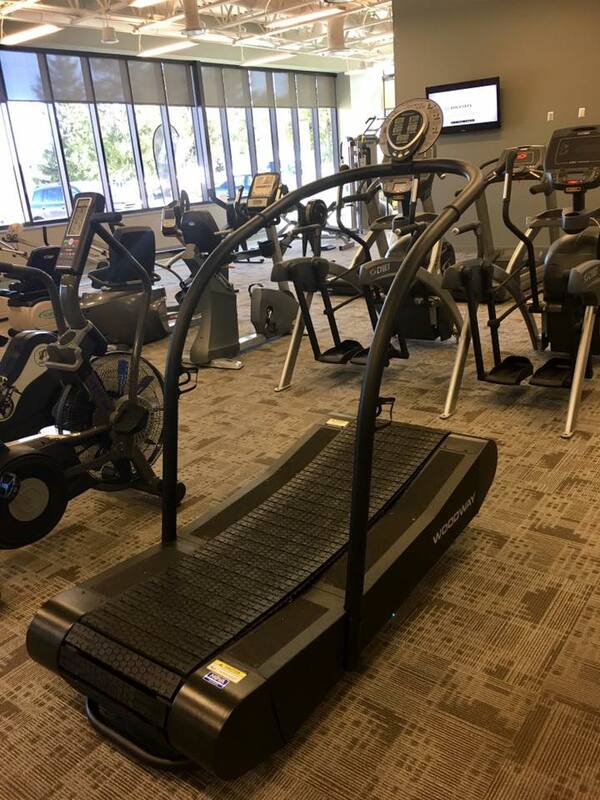 And just this month, they added the #Curve Trainer treadmill by Woodway to their lineup of equipment!! 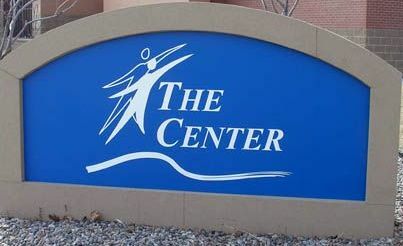 The staff is loving how well their older patients are enjoying it!! 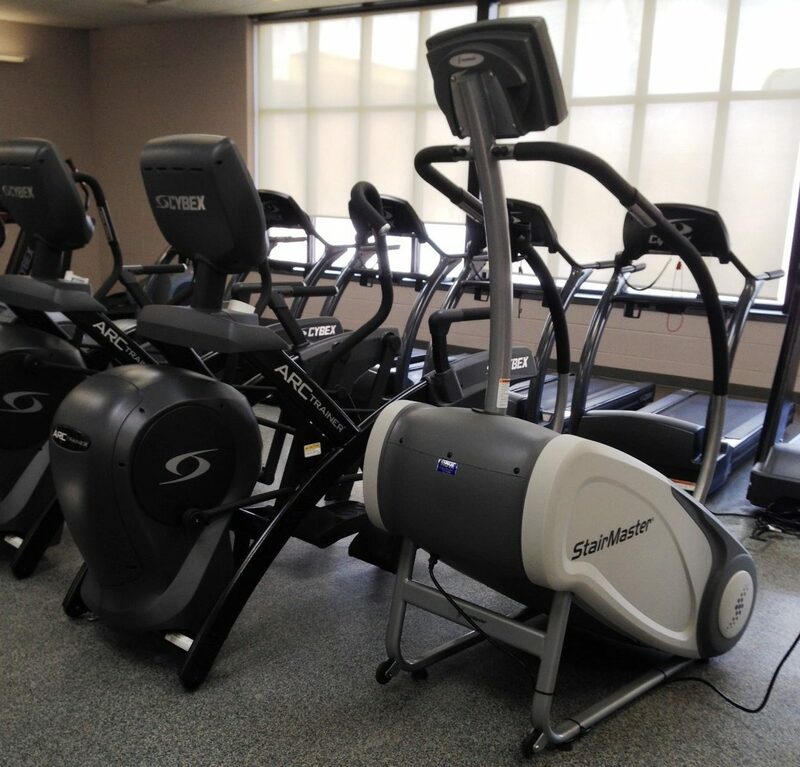 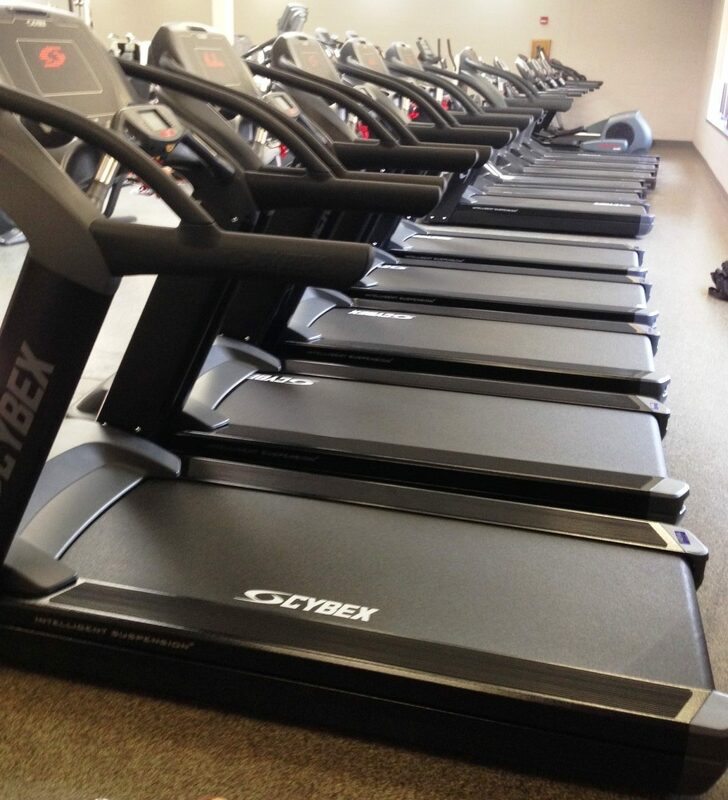 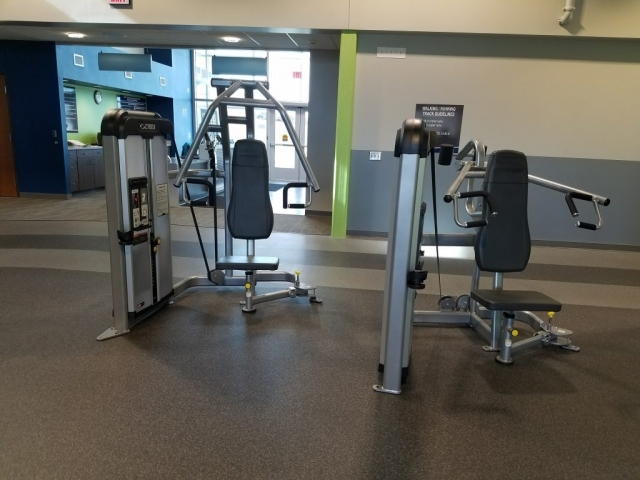 The Whirling Thunder Wellness Center in Winnebago, NE just completed their installation over 30 pieces of Cybex, Matrix and Expresso cardio and strength equipment. 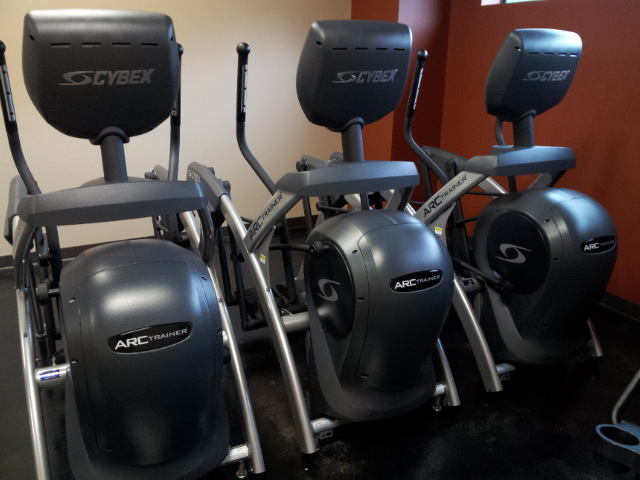 Such equipment includes Cybex Treadmills, Arc Trainers, Big Iron Half Racks, Expresso HD Exercise Bikes, and so much more. 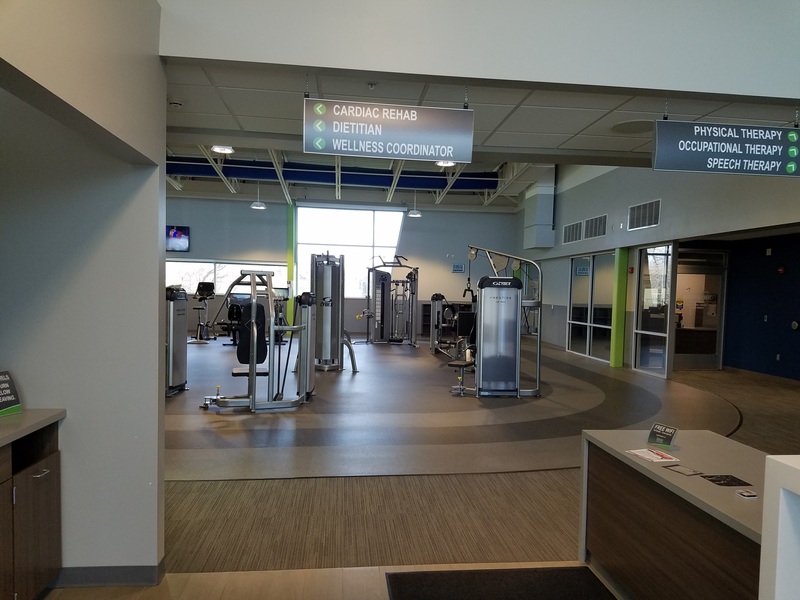 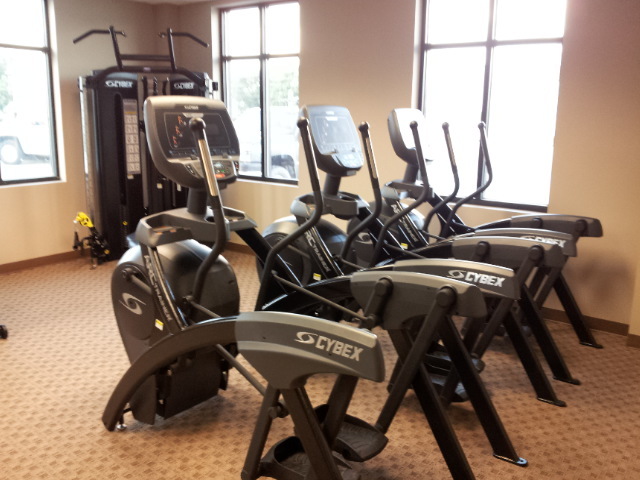 The Bluffs Center of Council Bluffs, IA has revamped their fitness center and it looks amazing! 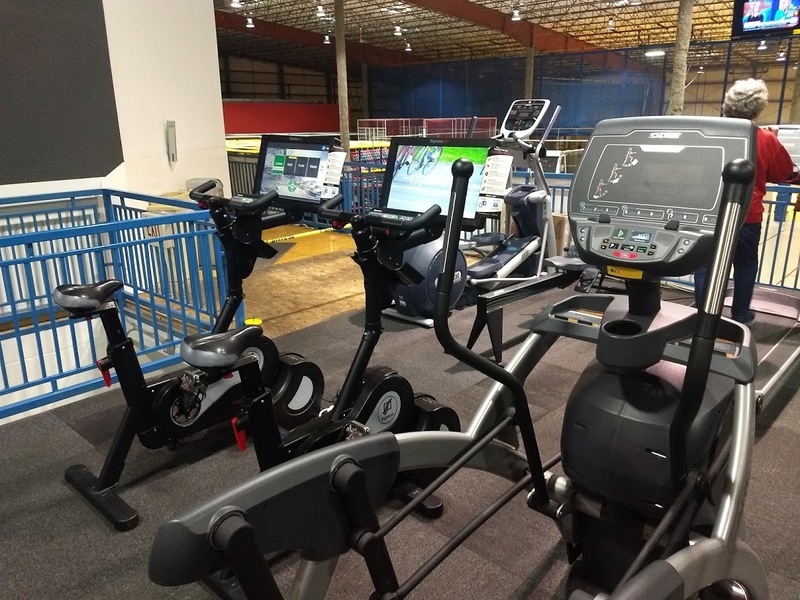 Their new equipment ranges from specialty rehab pieces like the StepOne by SciFit, to new state-of-the-art interactive Expresso CyberCycles that allow their members to traverse the world via online biking routes and games. 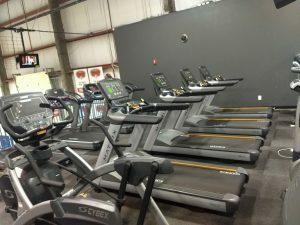 They also brought in a new Bravo Pro functional trainer and 770T treadmills by Cybex to accommodate The Center’s growing membership. 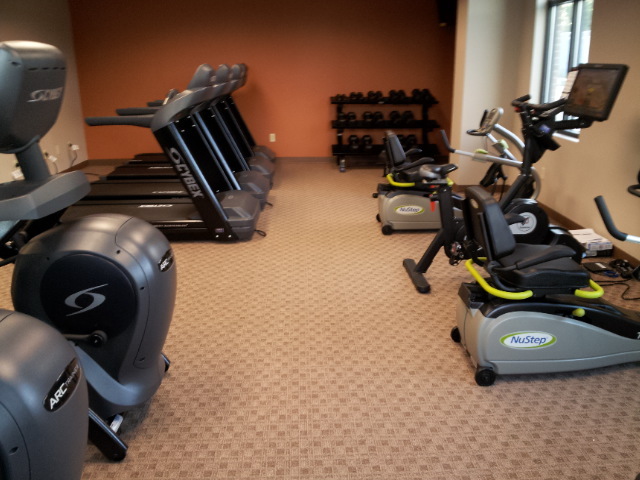 With renovations complete to their locker rooms and fitness area; The Bluffs Center is ready for anything! 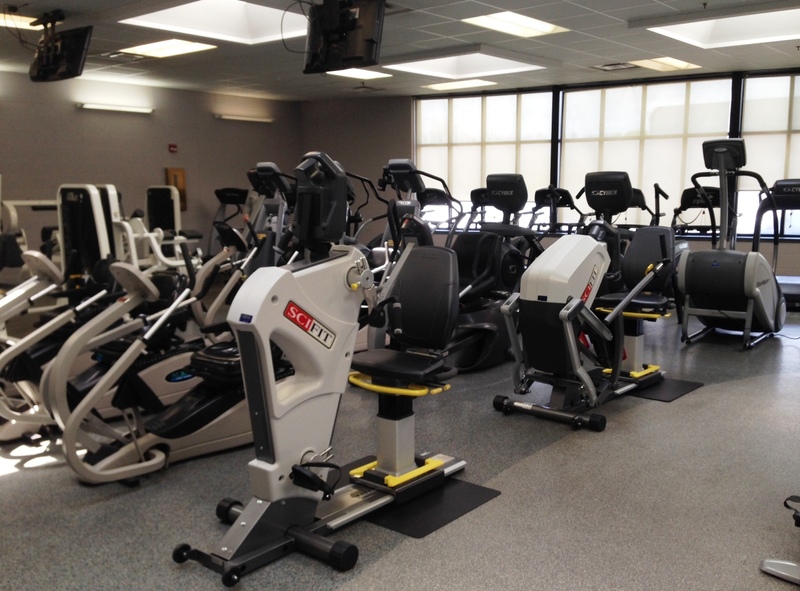 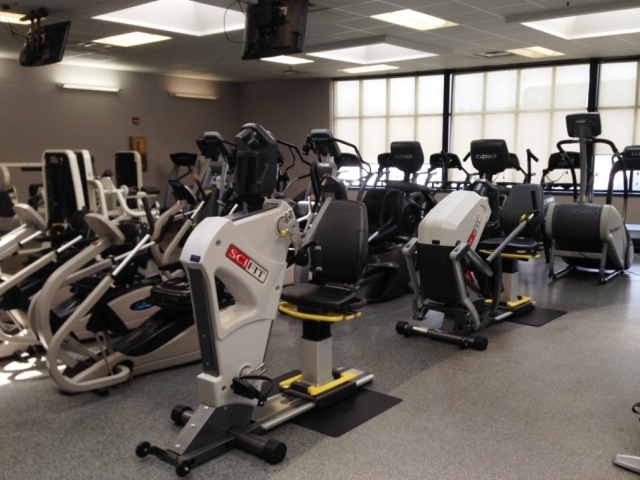 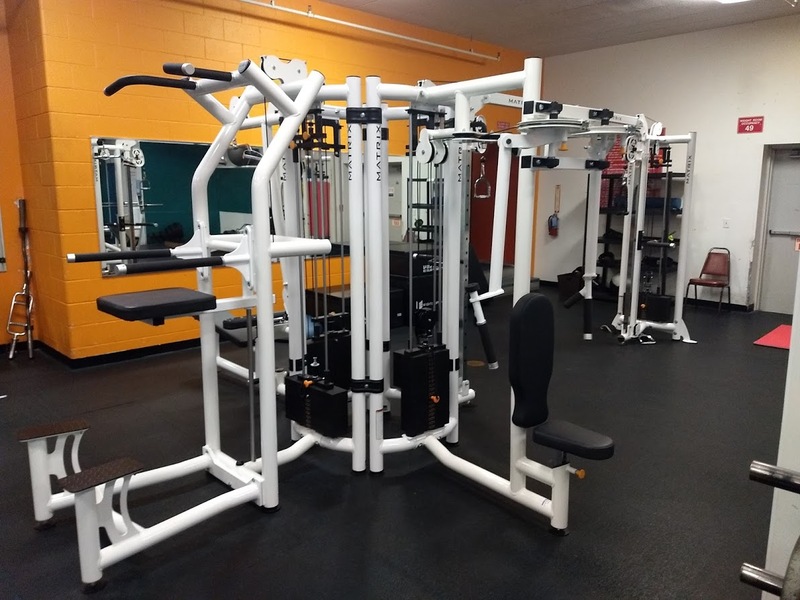 The all new Shickley Community Center’s fitness center has been supplied with all new equipment. 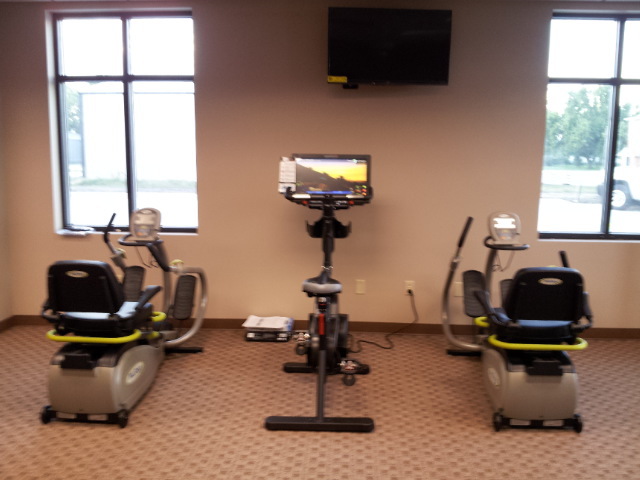 Such equipment including Cybex Treadmills, Arc Trainers, and a Bravo, a NuStep Recumbent Stepper, and an Expresso Interactive Bike. 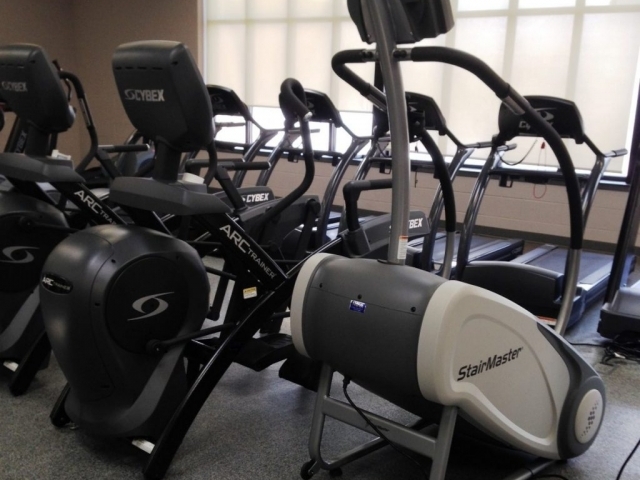 Making this a great new addition within the Shickley Community! 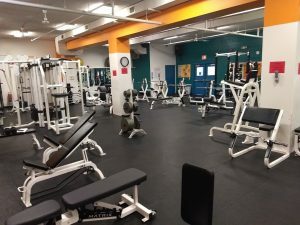 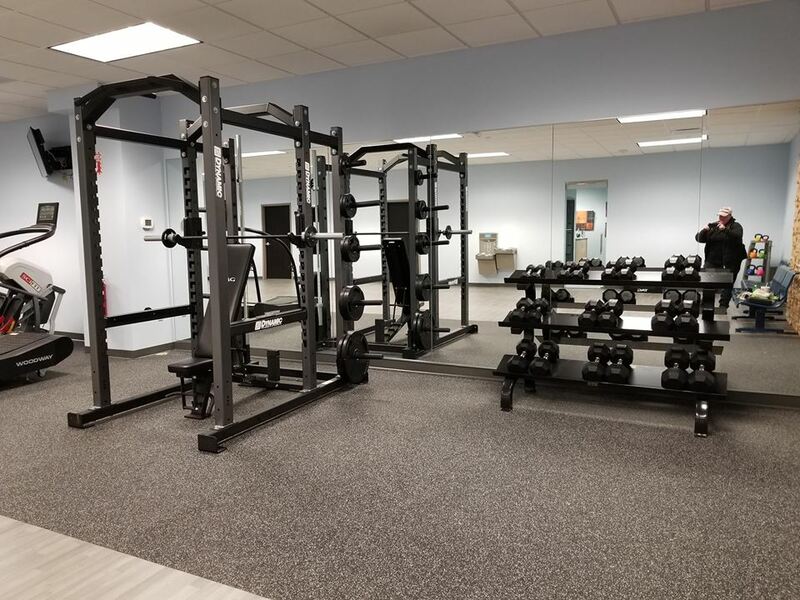 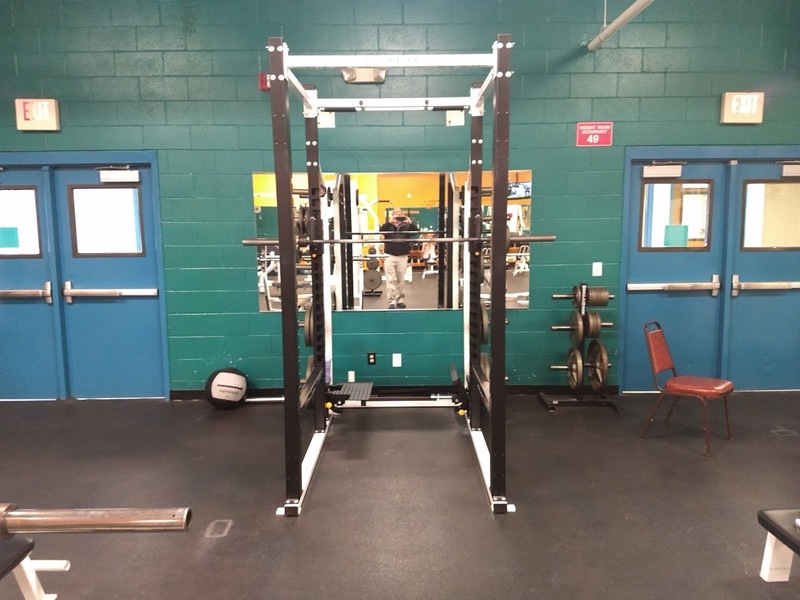 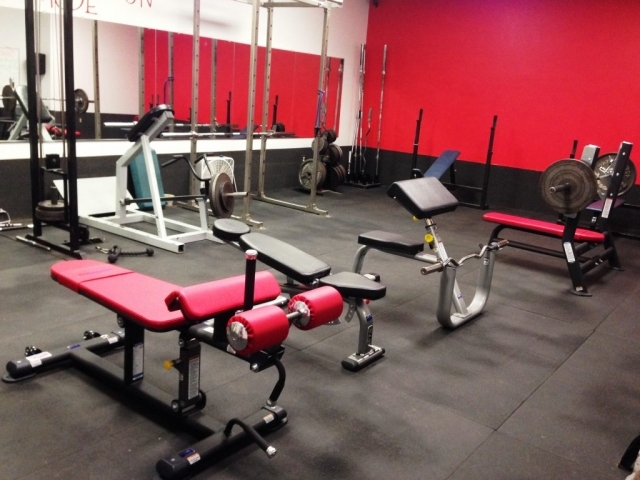 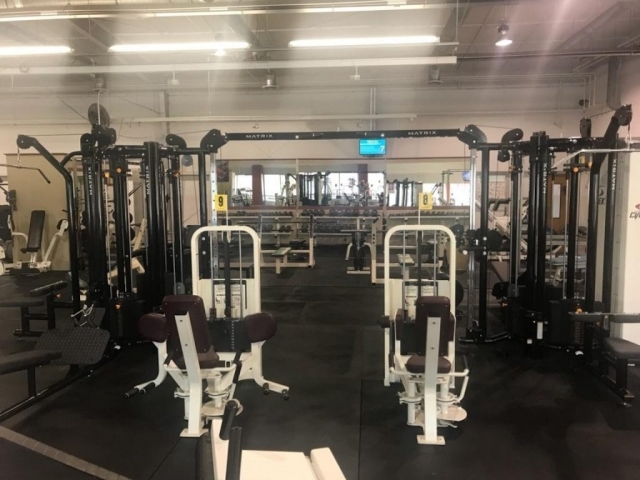 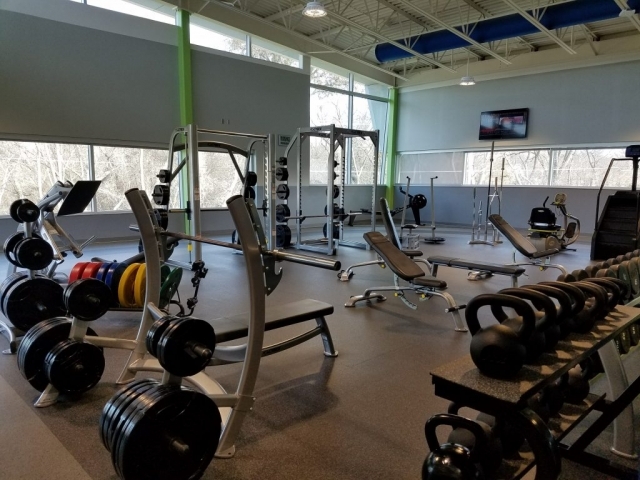 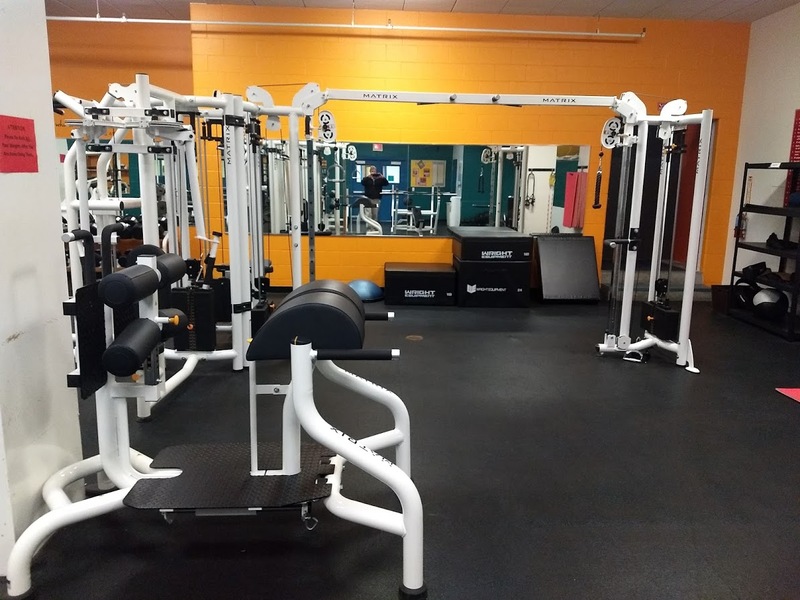 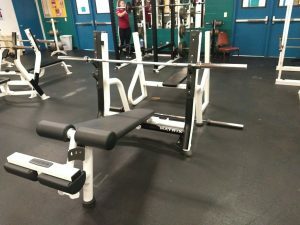 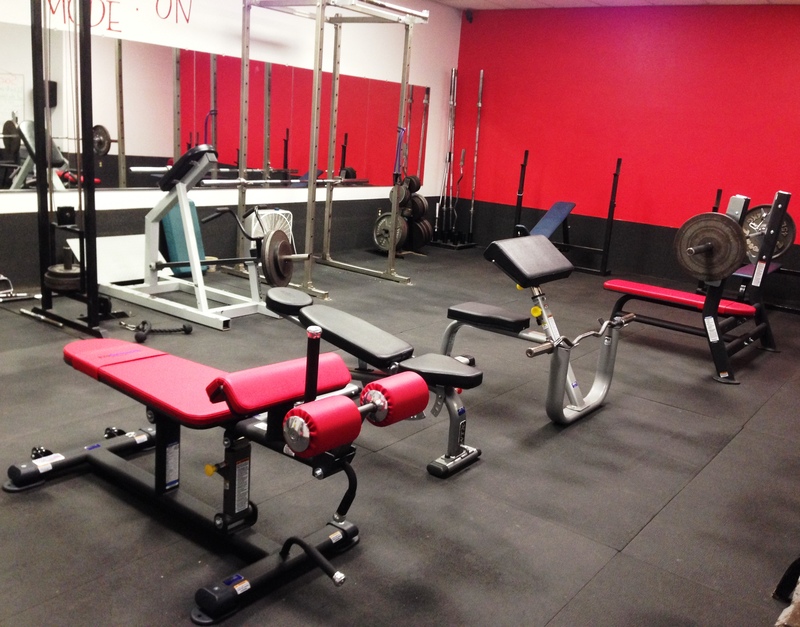 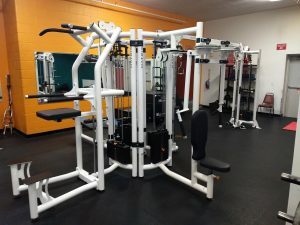 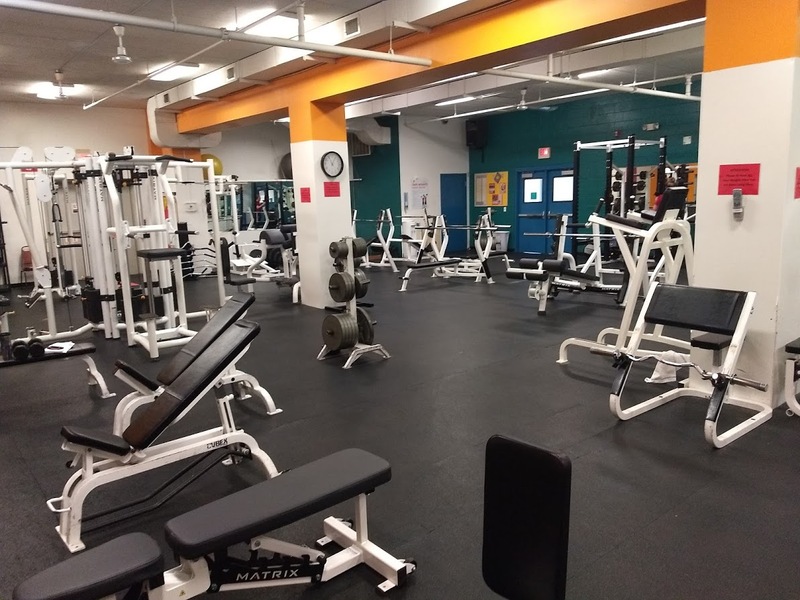 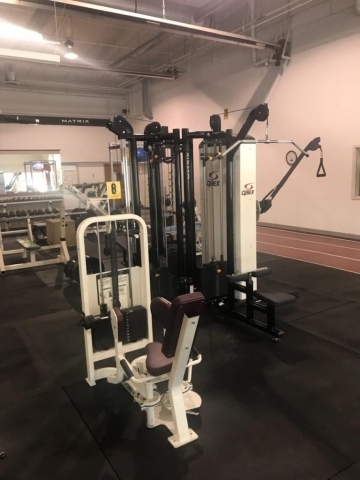 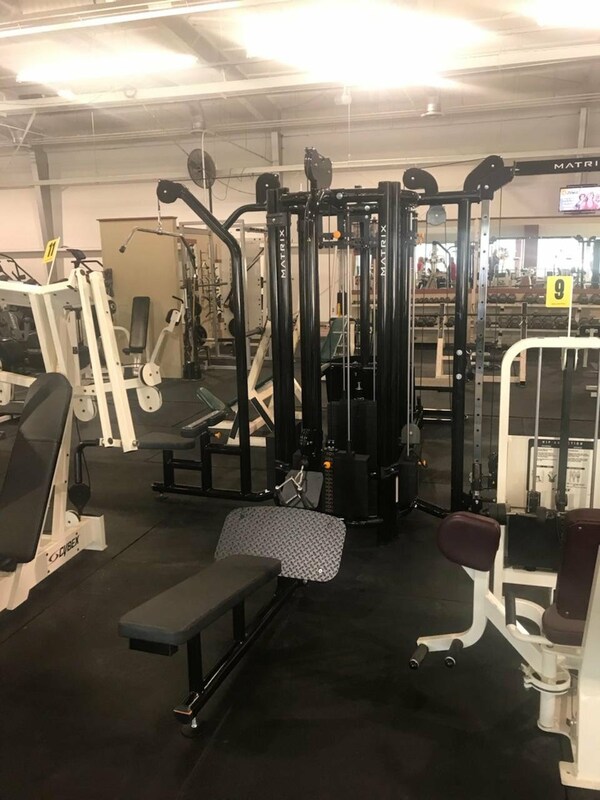 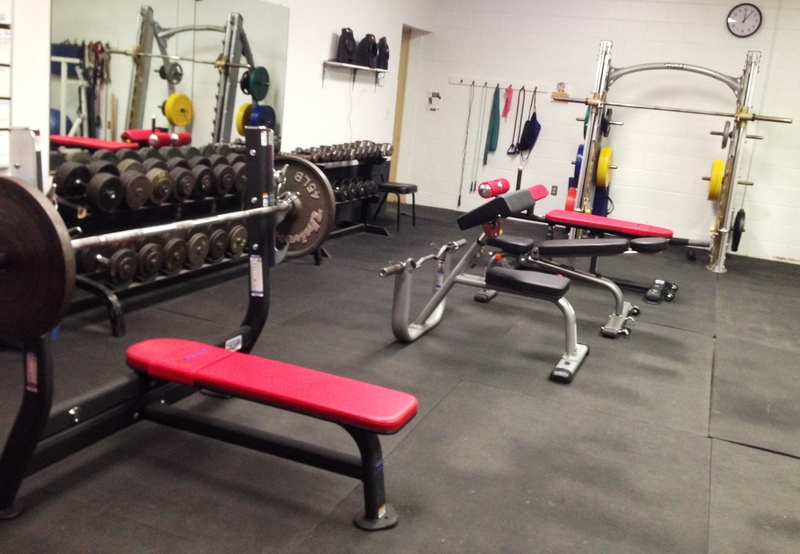 Sac Community Center Installation – Sac Community Center of Sac City, IA recently enhanced their weight room with a wide array of strength equipment from TuffStuff Fitness International and Troy Barbell & Fitness! 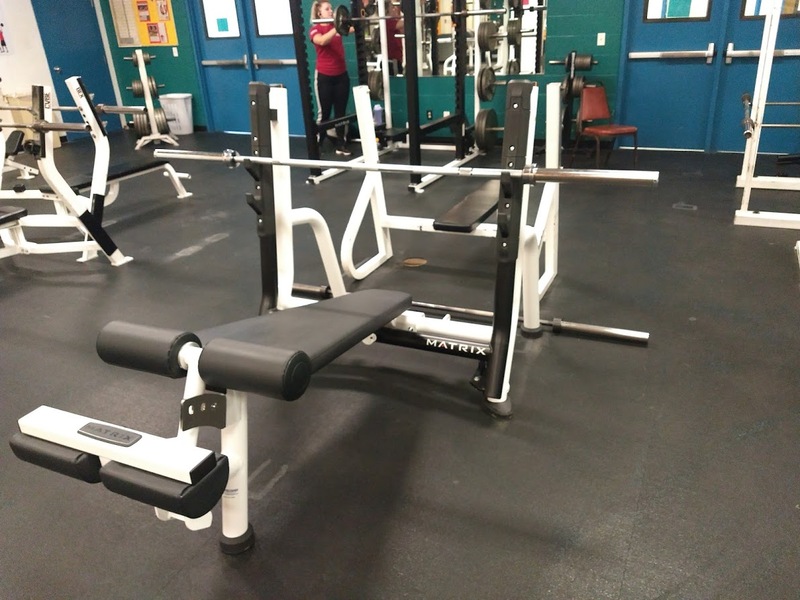 Such pieces include an assortment of workout benches from Glute/Ham Bench, Arm Curl Bench, and a Olympic Flat Bench to name a few. 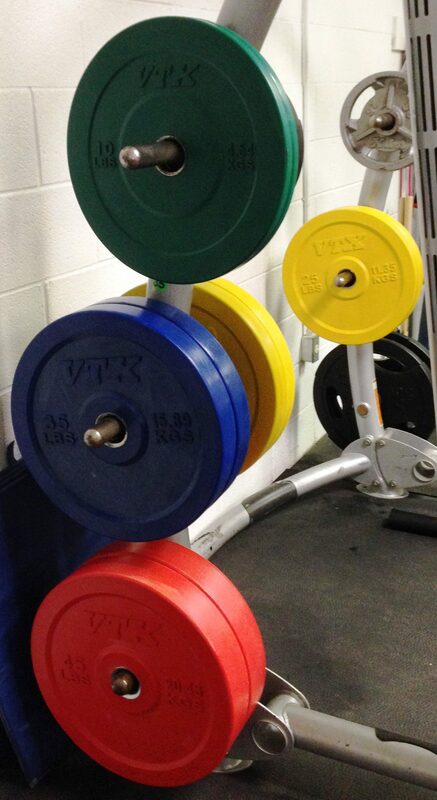 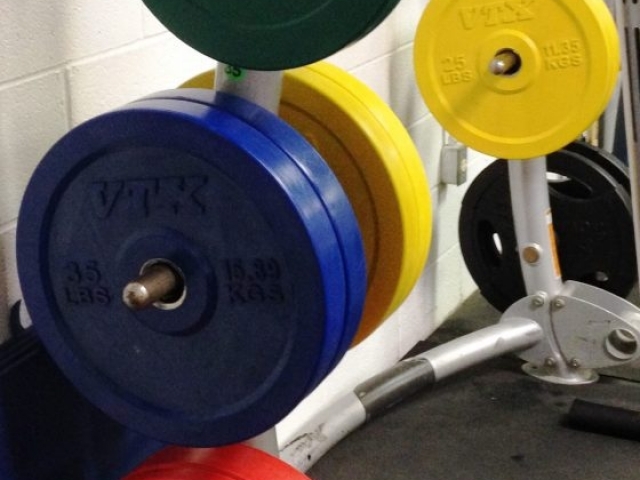 Also, not to mention color coded VTX Solid Bumper Plates! With the introduction of the new equipment, Sac Community Center is ready to take you to the next level to reach your fitness goals!